There’s so much to love about the IKEA Antilop highchair, including the minimalist design and practicality. An inflatable cushion makes it even better by providing extra comfort and support for your little ones. 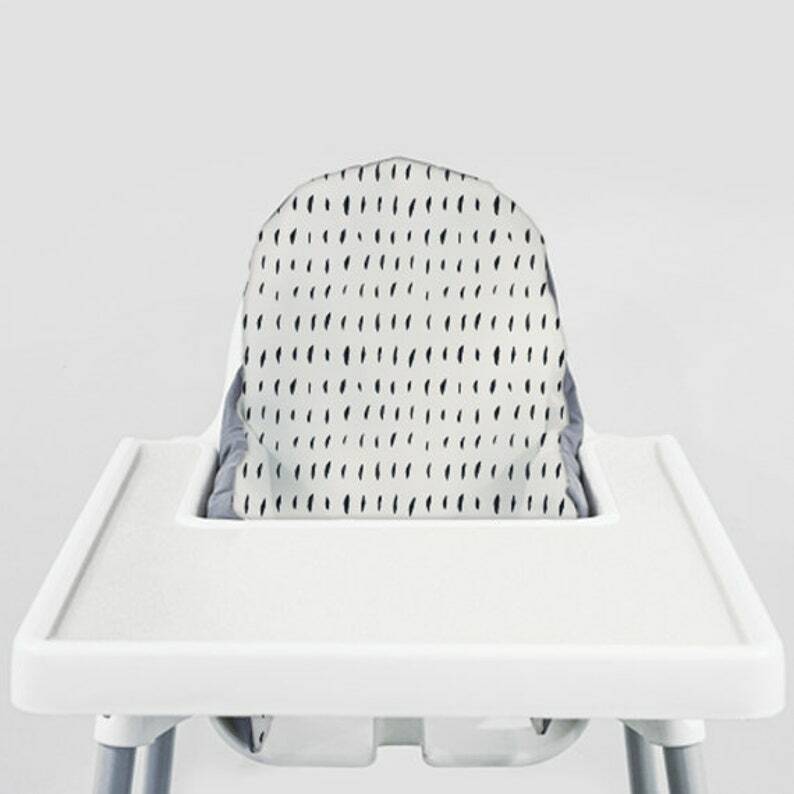 Plus it gives you the opportunity to really customize your highchair's style! This listing is for a handmade cushion cover that can be used with our cushion insert or the IKEA KLÄMMIG (previously called PYTTIG). If you already have a cushion, there's no need to get a new one. But if you don't already have a cushion, you can get ours as a $5 add-on. Pick a cushion cover that fits your home decor, change it with the seasons, or get a special pattern for your baby's smash cake setup! You'll love having options, not to mention the need for a backup when one’s in the wash – we all know how messy those new-eaters can be! Don't have an IKEA highchair? Our inflatable cushions work great in simple restaurant highchairs too. Keep the cushion and cover in your car so you're ready whenever you dine out! Absolutely love this shop! I couldn’t decide on a high chair for the longest time and gave up buying one until I stumbled upon this shop on Instagram! Buying a cheap high chair and then being able to customize it? Heck yeah! Everything is high quality and beautifully made. I also love that I can bring this cousin with me to a restaurant and stick it in their high chairs and it helps keep my babe from toppling over.